Hoi An Legendary Night is a very special event held in Hoi An ancient town on 14th of every lunar month (the full-moon night). The night is turned to a special space of culture and tradition with a lot of activities of local people in 20th century. And since 2015, Hoi An Legendary Night will be rescheduled from one per month to twice per month. Accordingly, the night will be held on 1st and 14th of every lunar month. 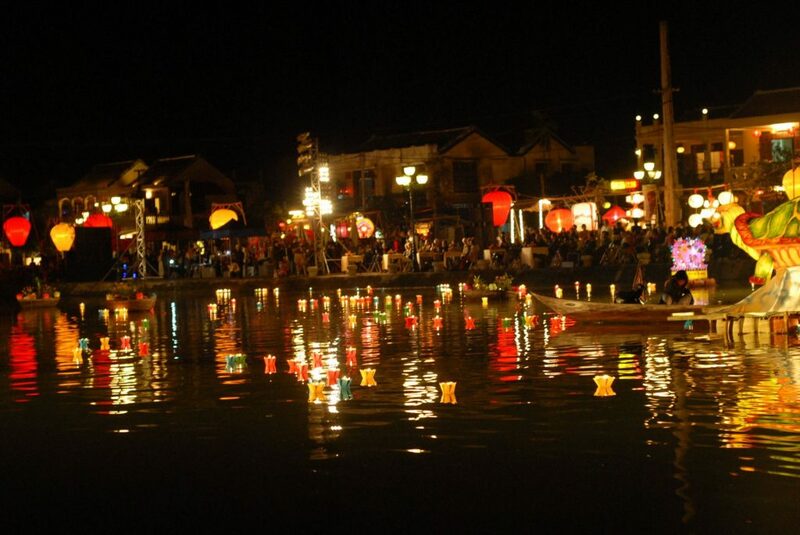 Hoi An Legendary Night has been held for 16 years and become an outstanding tourism product of Hoi An town. This event attracted millions travelers for years. Hoi An Legendary Night is featured with a lot of cultural activities, including Community Chinese chess, folk game of “Bai Choi”, Gastronomy Market, martial art performance, traditional musical performance, etc. Especially, at these nights, the whole town will be lit up by lanterns, which create a magic and charming atmosphere. You can also see flower-garland and colored lanterns floated on Hoai River. What are the new moon dates in march april 2016 i know full moon is 22march 20 april but i will be there between these dates hence wanting to know the new moon dates. You are right. The full moon dates are on 22nd March & 20th April in 2016. However, since Hoi An Legendary Night is held twice per month. In March & April, you can attend this event on 9th March, 22nd March, 7th April & 20th April. I was wondering if you know the dates when the ‘legendary night’ will be held in August 2016? As I am visiting then and sounds like a must! In August, you can visit Hoi An on 3rd and 16th for “legendary night”.